There are three major components to effective communication – Listening, Speaking and Taking Turns. Developing your skills and deepening your connections will have an impact of every relationship in your life. Learn how to give and receive feedback. If you are a supervisor or leader in the fitness industry or wish to become one, this workshop will help you succeed. A leader wears many hats in the workplace; motivator, councilor, co-worker, go-between, peace-keeper, manager, and many more. This enjoyable fitness workshop will help you identify your leadership skills, strengths and weaknesses, and improve your leadership role. You will gain trust and confidence from your employees. You will learn to address productive and non-productive employees, and much more. 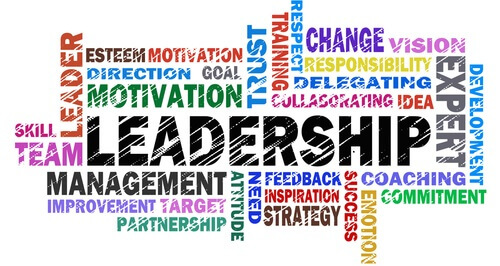 If you are in a leadership role or plan on becoming a leader, this workshop will help. If you are wanting to become a registered Supervisor with the BCRPA, you will need to take the Supervisors Course. Many people view conflict as a negative, and in doing so, people get stuck in a negative cycle. Conflict allows people to be different and creative. Jumping out of defensive responses and taking positive action promotes healthy working relationships. This workshop also helps you identify difficult behaviours and deal with them effectively, while keeping you safe and comfortable. Throughout our lives motivation varies. This enjoyable workshop will help you identify your strengths and weaknesses and show you how to succeed in. If you have a hard time getting yourself, your family or your employees motivated, this lecture will help you get organized, get excited and put that spark back into your life and career. This workshop will make you go from the idea or desire, to the action and reality of success! When we have processed your workshop registration, you will receive the workshop in your email. You have access to this workshop for 4 months. Watch/read through the workshop at your leisure and then answer the questions at the end. Once the answers are submitted you will receive the certificate. It’s that easy!